Do you enjoy the EGU’s annual General Assembly but wish you could play a more active role in shaping the scientific programme? Now is your chance! But hurry, the session submission deadline is fast approaching. You’ve got until September 6th to propose changes. 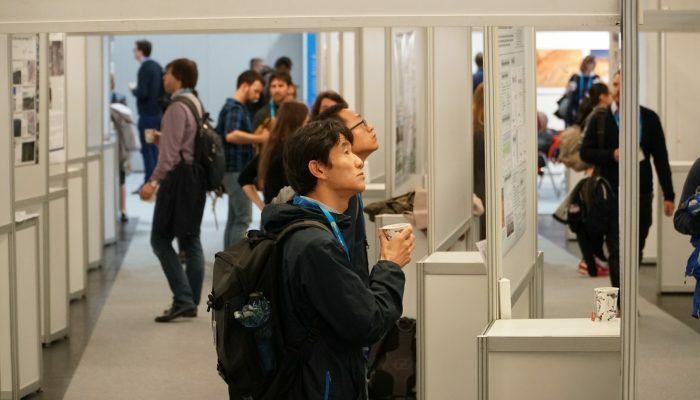 As well as the standard scientific sessions, subdivided by Programme Groups, EGU coordinates Inter- and Transdisciplinary Sessions (ITS) at the conference. Now, you may be asking yourself: what exactly are ITS? Interdisciplinarity looks for links between disciplines in a coordinated and coherent effort, with the aim of creating new approaches that would not be possible if handled separately. Transdisciplinarity transcends traditional boundaries of disciplines by reaching out to, for example, social, economic, and political sciences. The Earth, oceans, space and society are interconnected in many different ways; rarely can one system be perturbed without others being affected too. The aim of ITS is to foster and facilitate exchange of knowledge both across scientific divisions. These sessions should either link disciplines within the geosciences in a novel way to address specific (and often new) problems (interdisciplinary sessions) or link the geosciences to other disciplines, in particular from the humanities, to address societal challenges (transdisciplinary sessions). If inter- and transdisciplinarity is important to you and your work, know that you too can co-organise your session as an Inter- and Transdisciplinary Session. Read on to discover how! Sessions within each of these ITS themes will be scheduled closely together, to foster cross-division links and collaborations. Wondering whether your session would fit as an ITS? Just ask ITS Programme Group Chairs, Peter van der Beek (its@egu.eu) or Susanne Buiter (programme.committee@egu.eu). Peter and Susanne, are looking forward to a strong inter- and transdisciplinary programme at the 2019 General Assembly. But they need your help to achieve this! You can also find more information about the call for sessions (and the organisation of the scientific programme in general) on the EGU 2019 website. The EGU’s 2018 General Assembly, takes place in Vienna from 7 to 12 April, 2019. For more news about the upcoming General Assembly, you can also follow the official hashtag, #EGU19, on our social media channels. Olivia Trani is the Communications Officer at the European Geosciences Union. She is responsible for the management of the Union's social media presence and the EGU blogs, where she writes regularly for the EGU's official blog, GeoLog. She is also the point of contact for early career scientists (ECS) at the EGU Office. 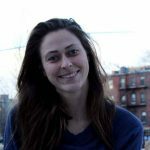 Olivia has a MS in Science Journalism from Boston University and her work has appeared on WBUR-FM, Inside Science News Service, and the American Geophysical Union. Olivia tweets at @oliviatrani. Communicate your Science Video Competition finalists 2016: time to get voting! EGU 2018: Follow the conference action live!